Thetis Island is east of Chemainus across Stuart Channel by about four nautical miles and is located next to Penelakut Island. Thetis Island sits in a rain shadow that forms across the Strait of Georgia and gets very little precipitation with lots of sunshine creating a unique eco-system, sometimes described as Mediterranean. The island at one time was joined to Penelakut Island but was dredged in the early 1990's and a short canal was created. 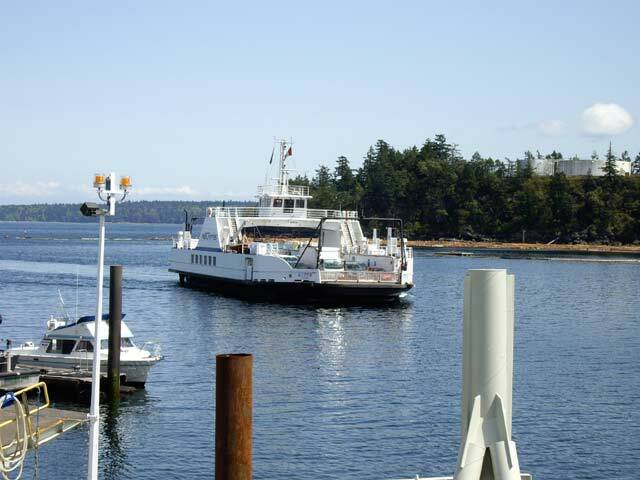 To get to Thetis Island, there is a scheduled BC Ferries that operates the tri-sailing route between Chemainus, Thetis Island and the ferry terminal at Telegraph Harbour on Penelakut Island. The sailing time from Chemainus aboard M.V. Kuper to Thetis Island is about 25 minutes. Thetis Island is a small island with very little commercial development except for two marinas named Telegraph Harbour Marina and Thetis Island Marina. 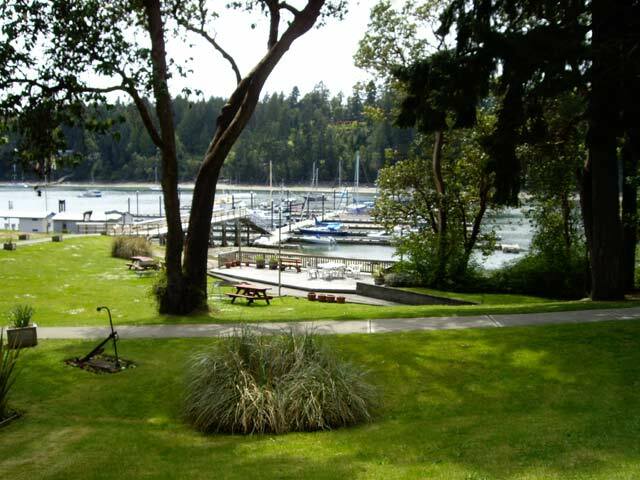 Both marinas have small stores, slips available for moorage and both offer waterfront pubs with sunny decks with cafés serving refreshments. 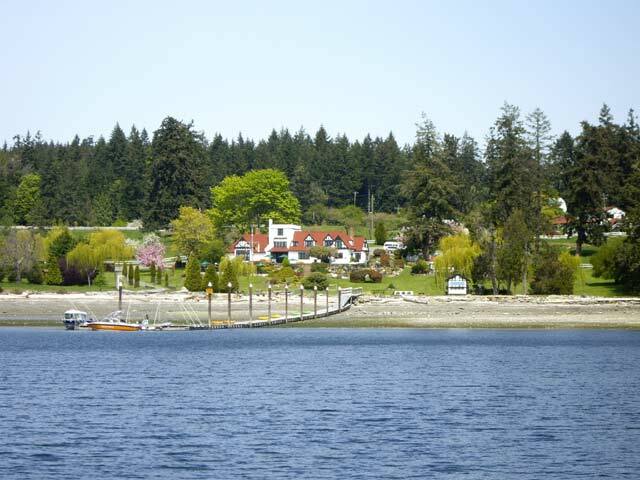 Thetis Island Marina is where you will find the post office on the island. Besides the marinas, other facilities on Thetis Island, include a kindergarten to grade six school and a small community centre. There is no public camping on the island but there are a number of Bed & Breakfasts operating in the local countryside. The island has also put together a well-run volunteer fire department. 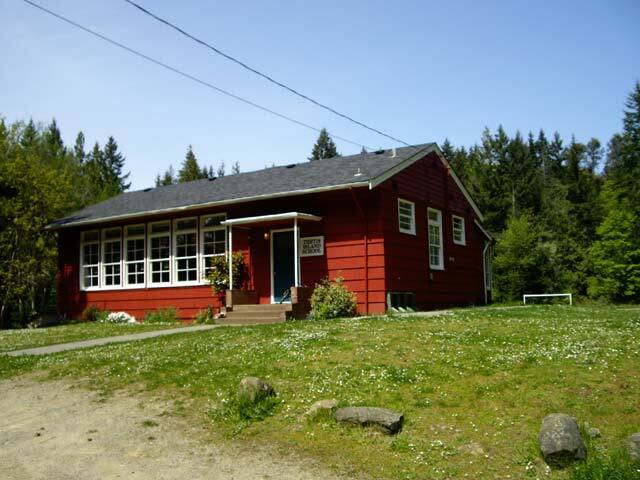 Thetis Island is also a centre for religious studies with various camps set up all over the island. As the M.V. Kuper ferry arrives at Preedy Harbour, a stately waterfront facility next to the terminal is the Capernwray Harbour Bible Centre. This beautiful estate houses a 'getaway' for religious conferences and studies for people from all over the world. There are no designated waterfront parks on Thetis Island with most access to the shoreline areas held in private hands. You can find, though, a few non-advertised trails to the shoreline and from there you can walk along the mostly rocky beach. One good area is near the Telegraph Harbour Marina and is called 'The Cut,' which is the dividing point to Penelakut Island. 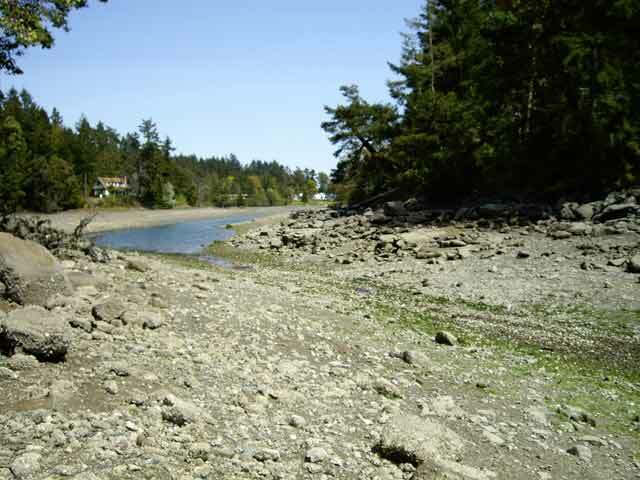 During low tide, you can discover some interesting wildlife and tidal flats along the waters' edge between Thetis and Penelakut Islands. Take the small gravel path just south of the pub to where there is a small trail to the waters' edge. 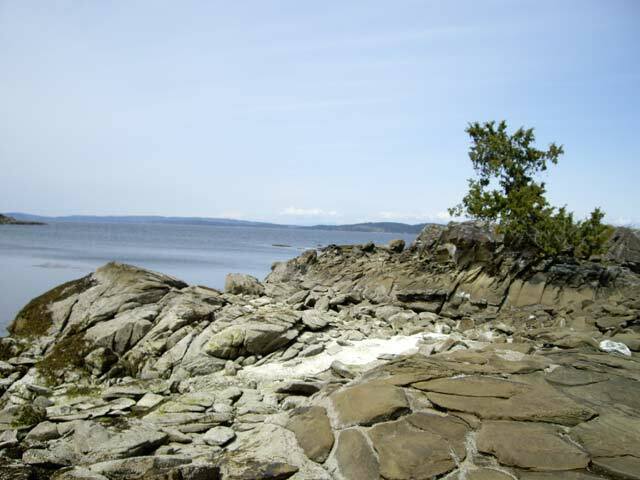 Another area worth exploring is at the very north end of Pilkey Point where there is a good view of the rocky shoreline and of Valdes Island. Follow the signs leaving the ferry terminal on Pilkey Point Road to the very end. 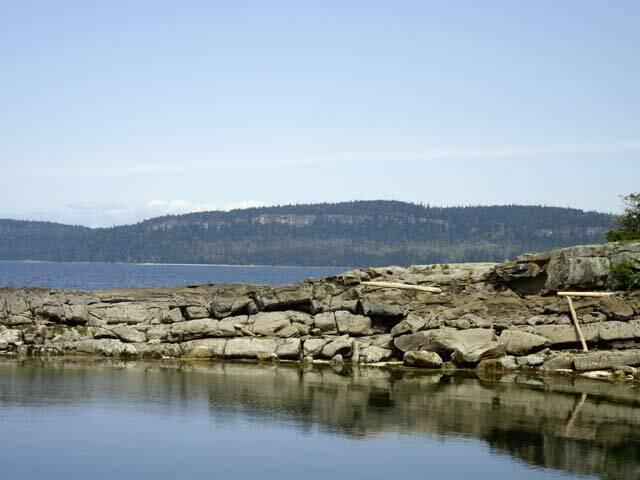 At Pilkey Point, there is access onto the rocky shoreline with beautiful views towards all the way from Ladysmith to the west coast of Valdes Island. Unfortunately, there are warning signs from the Penelakut First Nation about crossing over to Penelakut Island at low tide. 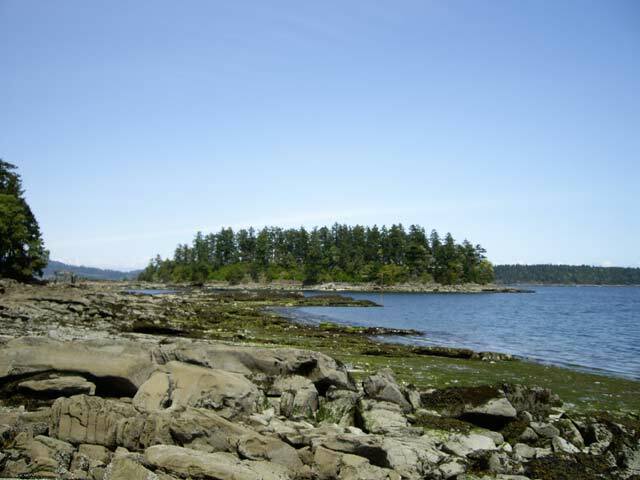 Penelakut Island is home to Penelakut First Nation Reserve No. 7 and prior permission must be granted before entering these lands. The incredible sandy beach called Penelakut Spit sits off the south coast and provides some excellent boating of all types. 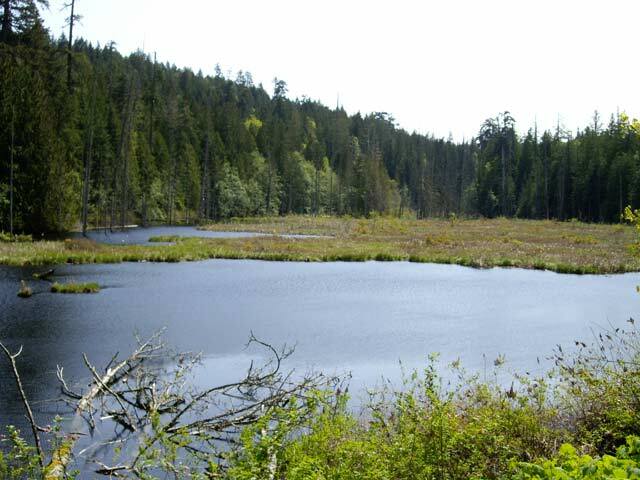 Other exploring opportunities include the end of Clam Bay Road to the south-west coast of Thetis Island. Here there is a 29-acre private island boasting the ultimate luxury retreat in the area. Norway Island has three homes on it - one at 4,500 square feet, orchards, 200 feet of protected dock, tennis courts, caretakers and a swimming pool. Norway Island can be viewed from the beach area near here. There is a summer market that you can visit on Thetis Island that takes place every Sunday from ten in the morning until noon. Local products include wooden crafts, artistic carvings, homemade jams and jellies, bread, pottery and a wide selection of knitted handicrafts. The Summer Market occurs under the covered pavilion situated at the Telegraph Harbour Marina. If you enjoy a good coffee try sampling the beautiful blends produced by the local Pot of Gold Coffee Roasting Company. Sent all over Vancouver Island, the fresh-roasted coffee can be found at the Telegraph Harbour Marina. Wine lovers should try to visit and enjoy the winery tour sample where there is a wine produced at a small facility called Thetis Island Vineyards. For people who enjoy having a guided scuba dive, the Cedar Beach is located off Clam Bay Road. 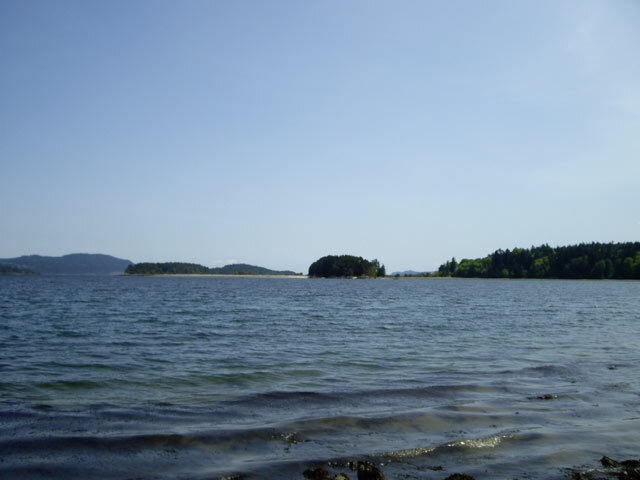 Cedar Beach offers diving adventures anywhere around Thetis Island and operates a Bed & Breakfast facility.